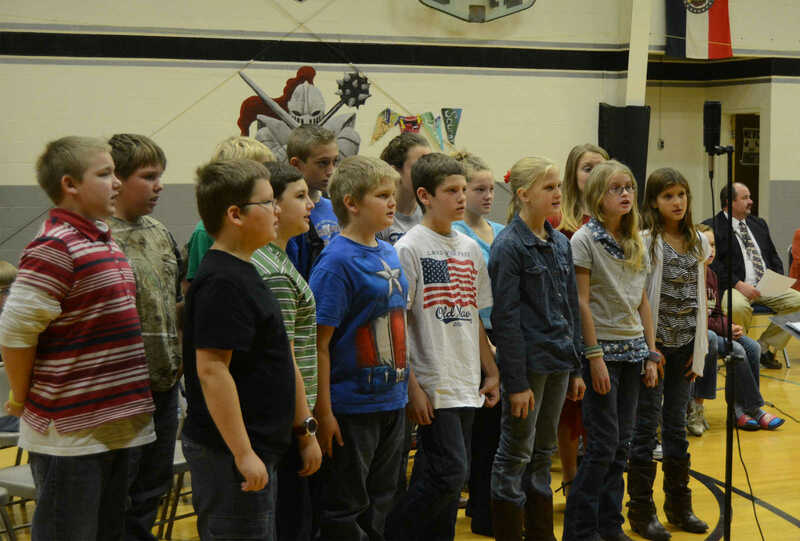 NEVC elementary students perform at the school's Veteran's Day assembly Nov. 11. 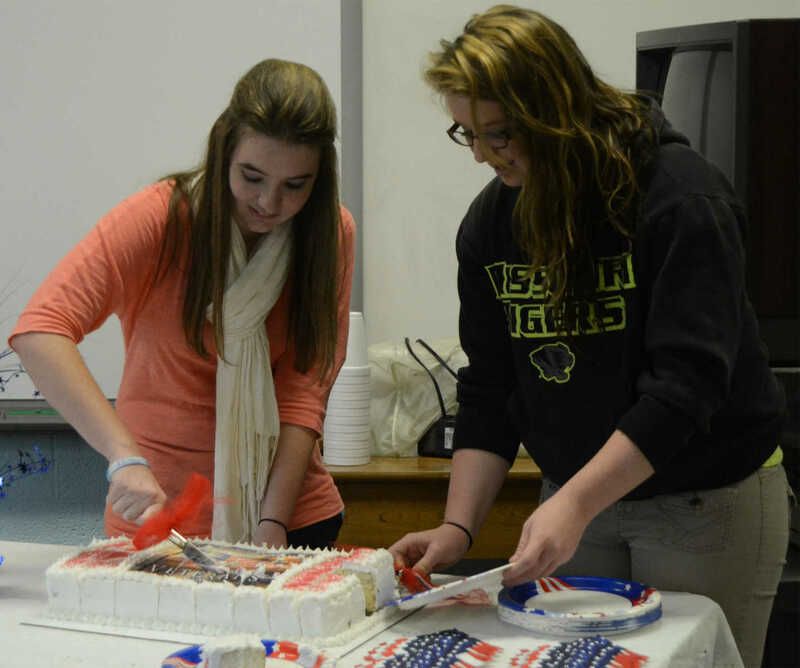 FCCLA members Emily Davidson, left, and Mikelah Moyer serve cake at the NEVC Veteran's Day assembly Nov. 11. 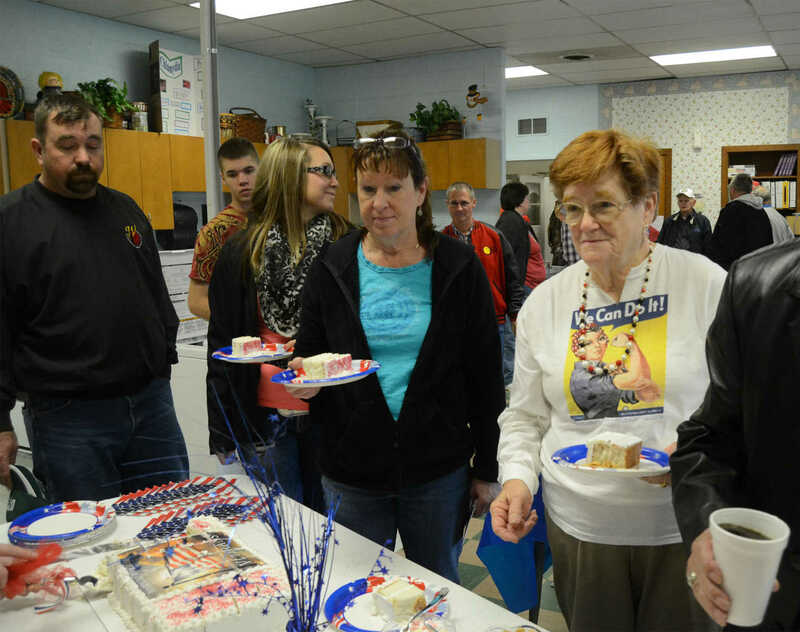 Veterans and their families have cake at the NEVC Veteran's Day assembly Nov. 11. 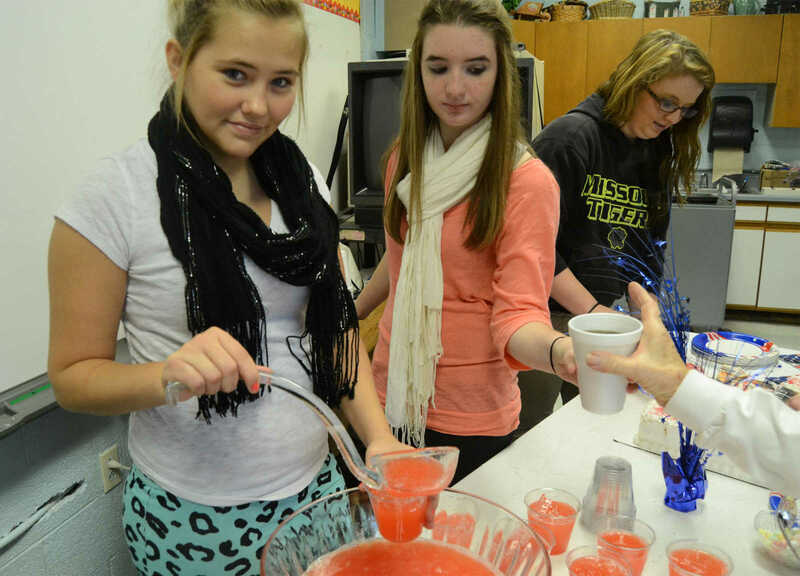 FCCLA members, from left, Tori Stutzman, Emily Davidson and Mikelah Moyer serve punch and cake at the NEVC Veteran's Day assembly Nov. 11.